Easy Chocolate Dessert Recipes – Chocolate is a fruit and as such is an essential part of a balanced diet. It of course comes in the first place from the cocoa bean. The story of chocolate as we know it begins with the discovery of the Americas in 1492. The Aztecs used chocolate, but the chocolate they drank was bitter. When Christopher Columbus returned to Spain among his treasures he had a few small, brown beans, but it was Hernando Cortez who realized the commercial possibilities of the new discovery. He sweetened it with sugar cane and later others realized it might taste better if heated – cocoa or drinking chocolate was born. I t would not be until 1847 that solid ‘eating chocolate’ was first produced by an English company and 1876 before milk was added. When choosing chocolate for desserts choose a dark chocolate with a high cocoa solid content – well over 60% is best. Milk chocolate may have about 55% . Such good chocolate should give a sharp crack when broken. I f you need to melt chocolate do it slowly, preferably in a double boiler, as otherwise it is very easy to burn it. Cooking chocolate or couverture is tempered before use to give a beautiful smooth finish. This uses chocolate wafer crumbs. An easy way to make these is to place the biscuits in a plastic bag. Tie the top tight and then crush the biscuits. You can use a rolling pin, bash with anything heavy or beat against something hard. You can o f course do it quickly in a food processor, but this bag method saves on the washing up. Mix all together and use as a base in a spring form cake tin. Bake at 350F, 180 C, Gas 4 for about 12 minutes. First, soften the gelatin crystals in four tablespoons of the juice. This takes at least 10 minutes. Using a saucepan, bring to a boil the remaining cranberry juice and the lemon juice, cranberries, sugar, lemon peel and salt. Stir continuously until the mixture boils, then simmer for a futher five minutes. The cranberries should be cooked but still keep their berry shape. Strain the juice into a bowl and add the softened gelatin mixture to this hot juice. Stir well. Replace the cranberries back into the juice and chill for at least eight hours or more. The mixture should be slightly thickened. You will add this topping to your chocolate cranberry pie recipe last, after the other parts are assembled. Mix all together and use to fill the cooled pie crust. Cover with the cranberry mix. Serve cold. Variations – cherries, red currants, chopped mango, mandarins or other fruit of your choice could substitute for cranberries. You could use apple or grape juice in place of the cranberry juice. You could make the crust and topping the day before and then assemble when ready to serve. Originally devised as a breakfast dish these become much more sophisticated if served filled with exotic fruit and coconut strips. Melt more chocolate and mix with a little cream to make a sauce. Preheat your griddle or skillet. Combine the flour, sugar, cinnamon, baking powder and salt in a large bowl. Mix together liquid ingredients and then beat these into the dry mixture until smooth. I t is best if the mixture is left for at least 20 minutes to allow the flour grains to be penetrated by the liquid. Mix in the chocolate chips. Pour 1/4 cup batter for each pancake onto hot griddle. Cook until the bubbles that form on top begin to pop, before turning, then cook a minute more. Serve immediately or keep warm until required. They can also be frozen – pack between sheets of grease proof paper. Thanksgiving could be a challenging time for raw food vegans because it is usually based on the standard poultry and cooked meals. Assembling an incredible raw food Thanksgiving dinner isn’t just possible, it might even convince your non-vegan buddies to test making one meal a raw food meal every single day and then possibly even implementing a totally all-raw food method of eating. Servings: Depends completely on what you are creating. 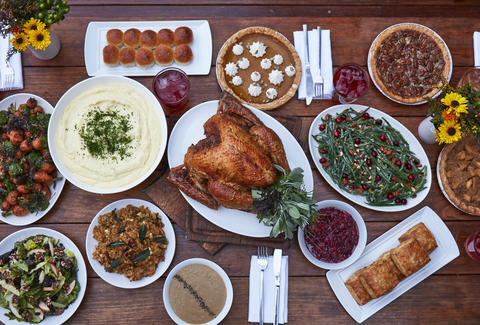 Determine your Thanksgiving dinner goals. Decide the most important thing for both you and your visitors. You may decide to have substitutes for each one of the traditional Thanksgiving meals or you might wish to opt for brand-new raw meals. Serving local and organic raw meals may be vital for you. You might like to serve raw meals inside a certain holiday color plan. Determining your goals clearly can help advice the relaxation from the planning process. Choose your poultry alternative. This is the primary dish, whether you intentionally try to create a raw food “poultry” or otherwise. One poultry substitute is avocado-celery patties. Inside a mixer, mix one cup of celery, one eco-friendly onion and a number of fresh parsley until carefully chopped. Drain from the liquid, adding single serving carefully chopped pecans or walnuts, one mashed avocado and sage to taste. Form into patties. Select a potato alternative. Taters don’t prosper raw because they discolor from contact with air and due to the starch present. You are able to replace all of them with cauliflower “mashed taters.” Inside a mixer, process a mind of cauliflower cut into florets, 2 garlic cloves and 1/4 cup carefully ground cashews. Add essential olive oil gradually before the cauliflower has got the consistency of mashed taters. Add pepper and salt to taste. Include other raw food dishes to enhance the “meat and taters.” Cranberry sauce can be created with raw red grapes and you will find several choices for raw vegetable preparing salads. Select a dessert. Thanksgiving Dessert is often as simple as mixed berries or any other fruit. Design your adornments. If you are planning your raw food Thanksgiving dinner around colors, find elements of design to complement. Table linens, serviettes, flowers, and invites are simple to get in many matching colors. 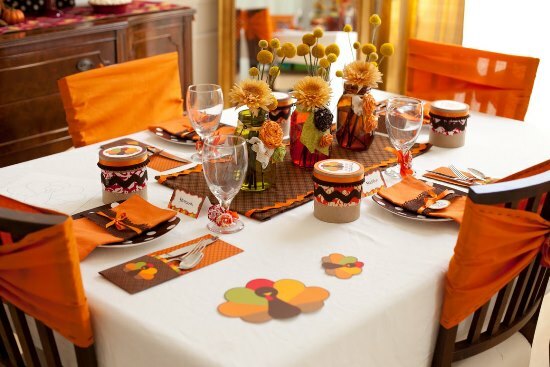 You may also set the Thanksgiving table using the raw meals you’ve utilized in the bathroom. Set sweet taters, avocados, and cauliflower heads in the heart of the table to produce a harvest market look. Keep the raw food Thanksgiving meal simple. Don’t put stress on yourself too much creating a dozen dishes. For those who have visitors for Happy Thanksgiving who’re a new comer to the all raw food method of eating, print a duplicate from the menu and then any other important raw food details for every guest. Not applicable, depends on your food choices. Deep Fried Thanksgiving Turkey Recipe is derived from Cajun or Creole cooking and is a great new way to add zest to your Thanksgiving holiday meal. To prepare the deep fried Thanksgiving Turkey Recipe you will need 4 to 5 gallons of vegetable or peanut oil, 1 whole turkey, and cayenne pepper. You will also need a very large pot preferably a 10-gallon pot and a propane cooker. Before you begin, set your propane flame to 390 degrees Fahrenheit. Pour the oil into the pan and begin to heat. Now, you need to prepare you Thanksgiving turkey. Rinse the turkey inside and out with warm water, pat dry, and then let it drain using a rack in the sink. When the oil is at 390 degrees Fahrenheit, pat dry your turkey to ensure that it is dry and sprinkle with the cayenne pepper. Place in the basket and lower it down into the oil. If you do not have a basket, insert a long cooking fork into the cavity of the turkey and lower into the oil. Do not allow the oil to drop below 390 degrees Fahrenheit. Check the turkey around every 15 minutes and change its position in the oil. The approximate cooking time is 3 to 4 minutes per pound. When your turkey floats to the top of the oil it is done, however, you should check to see if it is a golden brown and crispy on the outside. Using a meat thermometer, you can also tell if your turkey is ready. The temperature 180 degrees Fahrenheit when it is completely done. You will need to allow the turkey to drain on a rack to ensure that all of the oil is gone or your turkey will be somewhat oily. Once the turkey has cooled, you carve and serve. You can also use a wonderful tasting deep fried thanksgiving turkey recipe for a marinade. ½ can of turkey broth, and salt and pepper to taste. In a medium saucepan, combine all ingredients and cook for around 5 to 7 on low heat. After you have rinsed your turkey, you can add the marinade by using a syringe and into all the meaty areas of your turkey. Next, you place the turkey in a bowl with the marinade. It would be best to marinade the turkey overnight and then cook as directed above the next day. With this Deep Fried Thanksgiving Turkey Recipe, your guests will be delightfully surprised at the new and delectable meal that you prepared. Happy Thanksgiving! Thanksgiving Cheesecake Recipes – Despite the fact that you have the high Thanksgiving Day resolution to decrease a few pounds does not mean you will have to quit among the best parts during the day, dessert! You will find several wholesome dessert quality recipes and dessert choices readily available for the typical consumer. By selecting top quality, fresh, periodic elements, the novice chef can create some truly scrumptious, mouthwatering desserts with minimal time and effort. Not every dessert options are full of body fat and calories actually, a number of desserts pack a effective wallop of vitamins and minerals together with important nutrition including calcium. Desserts can invariably be a significant part of the structured diet. While you might not be ready to take in the whole cake, due to the right planning and elements you really might have your cake and eat it too! When thinking healthy desserts the particular strategy might be two parts. The very first way is taking old time faves like cake, cobbler, frozen treats, and chocolate and placing a healthy spin upon them. Go for a walk lower nearly any cooking aisle within your favorite grocer and you’ll see an array of sweetening and sugar substitutes, many of these were produced using the calorie conscious in your mind. Although some sweetening are made specifically for cakes and snacks, others tend to be a smaller amount specific. When choosing a sweetener it is important to consider the resource, a couple of sweetening are completely guy-made plus some come naturally from plant sources. Like a consumer of sweetening, you need to first, taste the sweetener before adding it to your selected cake, and 2nd notice wherever the sweetener originates from, because numerous dieters don’t actually want to introduce many new processed chemicals for their weight loss programs. If the would appear daunting for you personally consume a classic substitution of applesauce for sugar integrating a fruit boost in addition to a natural sugar alternative. Try an angel food cake as opposed to a wealthy chocolate, easily cutting unhealthy calories and body fat by 50 % while still satisfying your sweet tooth. Another technique of healthy dessert quality recipes is utilizing elements that supplement your diet plan goals. Fruits really are a natural option because of their natural sugars and fruity desserts certainly are a perfect way to get you to definitely your ultimate goal of 5 portions each day. Sprinkle berries on the top of the angel food cake rained plus a chocolates sauce to obtain a divine delight or have a blueberry in addition to some pretzels and dip inside a melted chocolate for small fondue experience. Yes, chocolate without excess can typically be a proper element of any balanced diet as chocolate, particularly chocolate full of cacao. This only denotes the more dark the chocolate, the greater for you. These benefits originate from flavonoids that behave as anti-oxidants fighting aging, relaxing bloodstream pressure as well as balancing the body’s hormones. Chocolates in fact has more anti-oxidants as in comparison with bananas! Servings: 1 cake, fit to divide. One way to ensure a tender and moist Marinated Thanksgiving turkey recipe is to use a marinade and marinate your turkey overnight. Using some of your favorite seasonings and ingredients, you can create some very unique marinades that will give your Thanksgiving turkey recipe a new and unique flavor that will begin to become your family tradition. There are many different Marinated Thanksgiving turkey recipe that you will enjoy and after you learn the basic ingredients you will love, trying new flavors and seasoning to create your own marinate. The main ingredient is a type of acidy liquid such as wine, vinegar, lemon juice, pineapple juice, and orange juice. To this liquid you add other delectable flavorings. 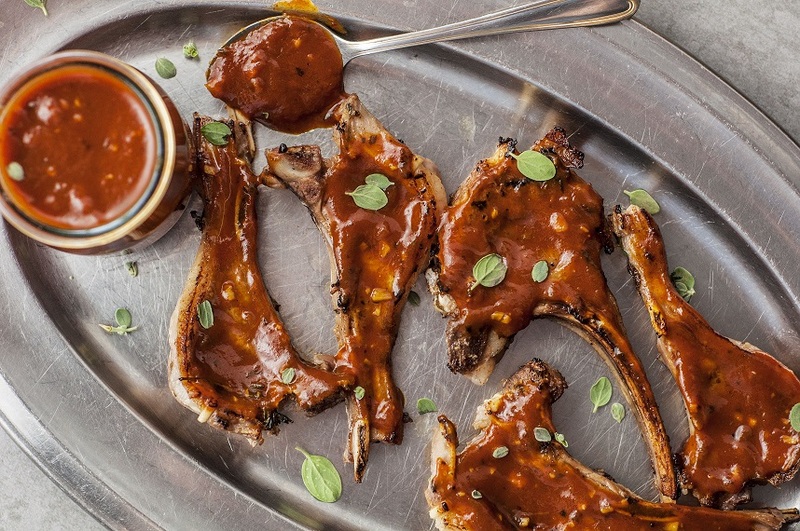 Here are a couple of basic marinade recipes that are wonderful for marinating your turkey. You can also use the marinade for basting while cooking as long as your reserve some of the liquid. Never use marinade that the meat has been soaking in. For the first recipe, you will need 1 cup of lemon juice, ¾ cup of maple syrup, ½ cup of olive oil, 12 cloves of chopped garlic, and 2 tablespoons of thyme, salt and pepper to taste. Mix together all ingredients, pour over your turkey, cover, and refrigerate overnight or at least 3 hours before cooking. This marinade recipe uses a wonderful mixture of delicious seasonings that your family and guests are sure to enjoy, not only for your Marinated Thanksgiving Turkey Recipe but also all year long. For this recipe, you will need 1 cup of orange juice, 1 cup of soy sauce or Worcestershire sauce, 1/3 cup of honey, 4 tablespoons of minced garlic, and ½ cup of chopped onions, 2 teaspoons of ginger, and 2 teaspoons of cinnamon, salt and pepper to taste. 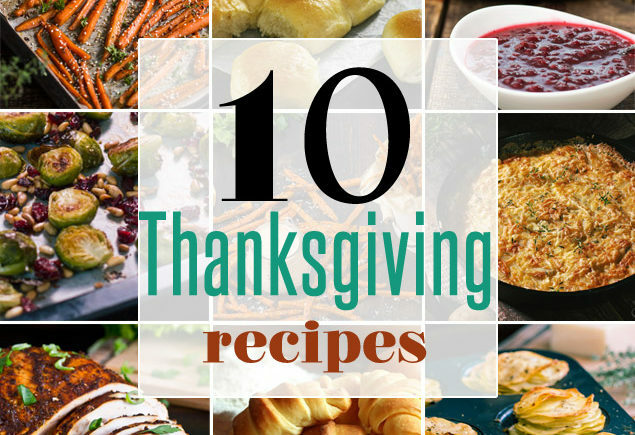 Combine all ingredients, pour over turkey, cover, and refrigerate for at least one hour or overnight. Remember, creating new marinades can be fun and who knows you may find one that is perfect for Thanksgiving next year or for your next dinner party. Try substituting the orange juice with pineapple juice or any other acidy juice you enjoy. Adding other ingredients such as green pepper, onion, pineapple chunks, apple slices along with the many acidy juices you can find will give you a delectable and unique marinade that you can use all year long or save it for holidays. Marinades Thanksgiving Turkey Recipe can be used for meats that you fry, bake, grill or broil. Learn to have creating your own unique dishes. Till then Happy Thanksgiving To You All! !